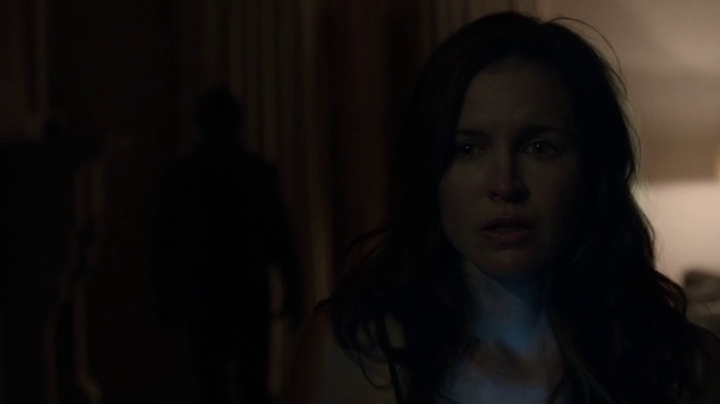 Stalking STALKER: S01E11 - "Tell All"
Last night's episode of STALKER, titled "Tell All", tells the story of an author who is being stalked by someone who has read the original manuscript for her new book. The suspect pool is small, considering only a select few people have been privy to this. Also, we get some good subplot action in the episode! Stalker -- S01E11 -- "Tell All"
The opening for “Tell All” may be the shortest one yet. A woman all alone in her house hears a strange noise coming from downstairs while her security alarm is buzzing. She investigates and hears more noises. A silhouetted figure appears behind her – she runs to the door, and into the arms of an officer. Cut to title card. After the break, we find Jack Larsen out for a morning jog when he runs into his son, Ethan. His son grills him with questions that he shouldn’t know about. For once, Jack isn’t the one who made contact. It was Ethan this time. And honestly, I’m glad we got a little of Jack’s subplot in this one. As for the main case, an author is being stalked. Well, actually, the subjects of her new tell-all book are being targeted. Also, this episode dealt with a bit of Beth’s subplot as well. After confiding in a coworker, they discover that her stalker, Perry, has cleared his dorm room of all evidence that he’s been following Beth. It also doesn’t help that her stalker comes from money – meaning that his family could easily buy his way out of any minor trouble he might find himself in. So Beth and her coworker start their journey on building on a stronger case against. Hopefully something that will put him away for a long, long time. Beth’s coworker, blank, confronts Perry in the parking garage of the college and tempts to push his buttons. It works and Perry ends up getting arrested for assaulting an officer. It’s a temporary solution, so I suspect that this story is far from over. The main case of this episode ends with the discovery that it is the author’s ex-husband who has been doing the stalking. Case closed. Also, as a little surprise towards the end of the episode, Jack’s ex-wife has invited him over to her house to spend some time with their son, Ethan. Being a father myself, this scene struck a few sentimental cords with me. I smiled. The episode fades to black as Perry is being escorted through the police station, with Beth watching. Next episode: S01E12 -- "Secrets and Lies"